With utility relocation work and road deck installation on the north side of Eglinton complete, crews will switch to the middle lanes of Eglinton. During this stage, crews will continue to relocate utilities and install road decking. 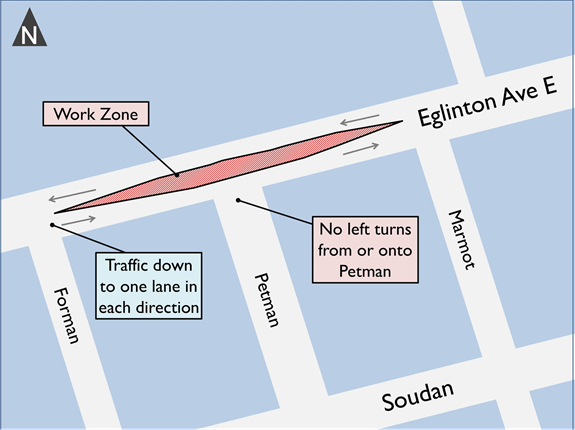 Following work in the middle Eglinton lanes, construction will return to the south side of Eglinton.